Kenneth Lee Kraus, was born 1 February 1942, at Fayetteville Township, Illinois. He was the son of Oliver Daniel and Matilda, nee Rohr, Kraus. He passed away on 6 February 2019. Kenny attended the one-room country school at Darmstadt, Illinois for two years until his family moved to New Athens in 1949. He graduated from New Athens Junior High School in 1955 and from New Athens High School in 1959. In October 1960, he enlisted in the Air Force Reserves where he served as a medic. He was honorably discharged in October 1966. He was employed by Weidemann Services from 1959 until 1963 when he gained employment in the Engineering Department of Peabody Coal. He worked for Peabody Coal until 1973 when he went to work in the Engineering Department of Arch Minerals Coal Corporation. The family moved from New Athens to Murphysboro, Illinois in 1982. In 1985 he went to work as Superintendent of Kinkaid Stone Company at Campbell Hill, Illinois until he retired at the end of 2003. In 2006 they moved to Freeburg, Illinois. Kenny was a former elected member of the New Athens Township Board; New Athens Community Hall Board; and member of the New Athens Unit District #60 School Board. He was a member of New Athens Sportsmen’s Club and Fairview Heights Elks Lodge #664. He was a member of Freeburg Masonic Lodge #418; Scottish Rite Valley of the Southern Illinois; Ainad Shriner’s where he was an emeritus Potentate’s Aide. He was also a member of Ainad’s Directors’ Staff and Ainad’s Hospital unit of which he served as President in 2013. Kenny was also a member of the Royal Order of Jesters of Southern Illinois Court #86. While living in Murphysboro, Illinois, Kenny was a member of the Jackson County Shrine Club of which he served as Secretary for several years and President in 1999. He was also a life member of New Athens Historical Society of which he served as President from 2013 to 2018 and a member of St. Clair County Genealogy Society. Memorials: Memorials may be made to the Shriner’s Children’s Hospital or P.T.O.E.C. (Parent Teacher Organization for Exceptional Children) supporting our local Chapter of Special Olympics. 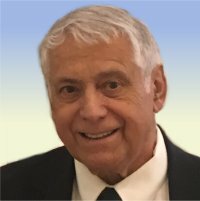 Visitation: Visitation from 5:00 pm – 8:00 pm, Friday, February 8, 2019 at Kurrus Funeral Home in Belleville, Illinois with a Jester walk-through at 7:13 pm followed by a Masonic service at 7:30pm. Funeral: Funeral Services will be held at 10:30 am, Saturday, February 9, 2019 at Kurrus Funeral Home, with Dr. Robert Koch officiating. Interment will follow at Valhalla Gardens of Memory, Belleville, Illinois. My sincerest condolences to the family, keeping you all in my thoughts and prayers. So sad to hear of this loss. My condolences to the family. So sorry to hear of Kenny’s passing. We worked together at Captain mine. He was a good friend and a wonderful person. Our thoughts and prayers for his family. Scott,Sherry and family,so sorry for your loss. Jack worked at Peabody the same time Kenny did,great guy. We are so deeply sorry for your loss. Your family is in our prayers!